Audiences will be entertained by the Disney hits from the movie, as well as new songs from the original Broadway production as they see if Prince Ali will win Jasmine’s heart and thwart Jafar’s evil plans, or if the Genie’s wish for freedom ever comes true. 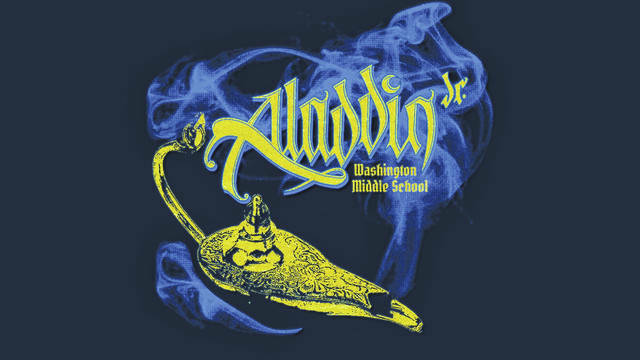 The students are excited to take audiences to a whole new world as the Washington Historic Auditorium transforms into Agrabah on Saturday, March 23, at 7 p.m. and Sunday, March 24, at 3 p.m.. Admission is $6 for adults and $4 for students and seniors. Stay one jump ahead by purchasing tickets at WMS during school hours or at the auditorium from 3:30-5:30 p.m. the week of the show. Tickets will also be available at the door. For more information, call Washington Middle School at 740-335-0291. The information in this article was provided by Washington Court House City Schools Director of Marketing and Communications Trevor Patton.